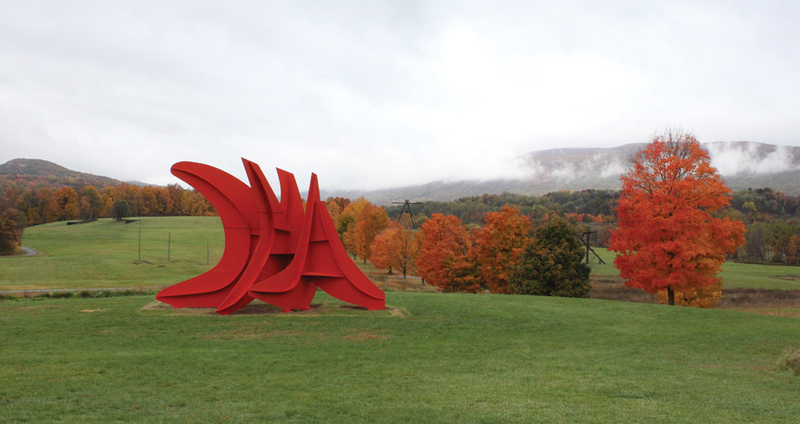 Alexander Calder’s sculpture Five Swords is on display at Storm King Art Center in the Hudson Valley of New York. 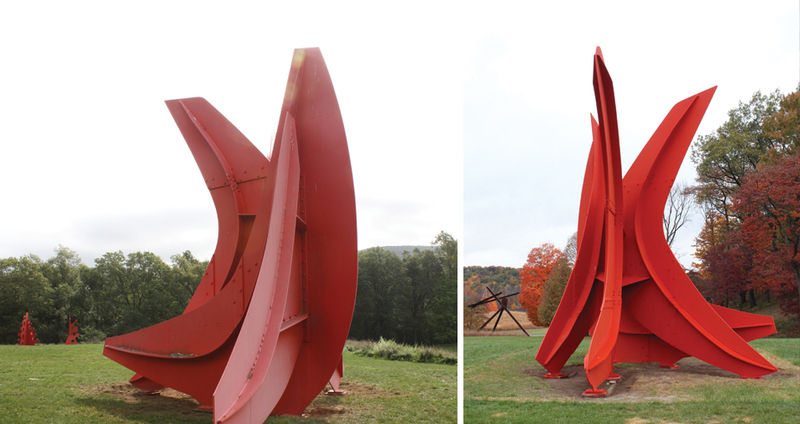 In 2015, this sculpture underwent its “generation” treatment on site – a treatment that is designed to withstand another 40 years with only periodic top coating for fading. 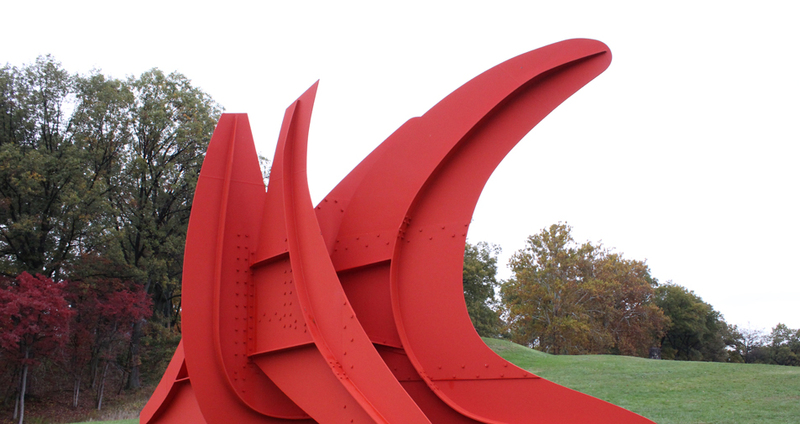 The work included taking all coatings back to metal, protecting the steel substrate with a zinc rich primer, applying a subsequent epoxy primer and Calder Foundation approved Calder Red topcoat. 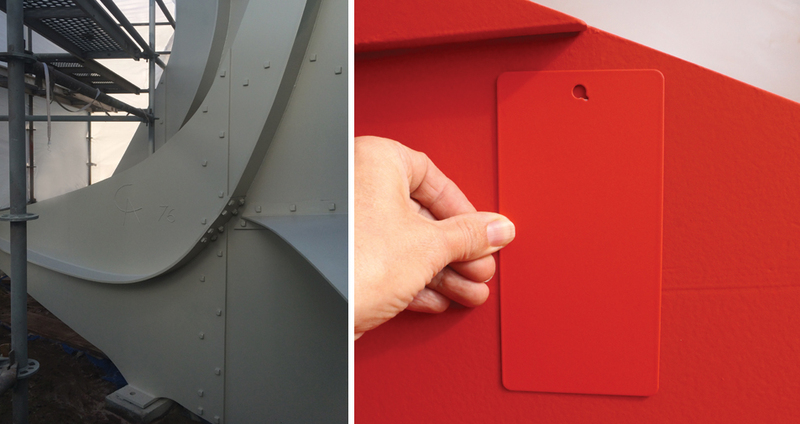 The topcoat is a custom-made, adapted military coating that was developed through a collaboration between the Calder Foundation, the Army Research Laboratory, NCP Coatings, and Mack Art Conservation. 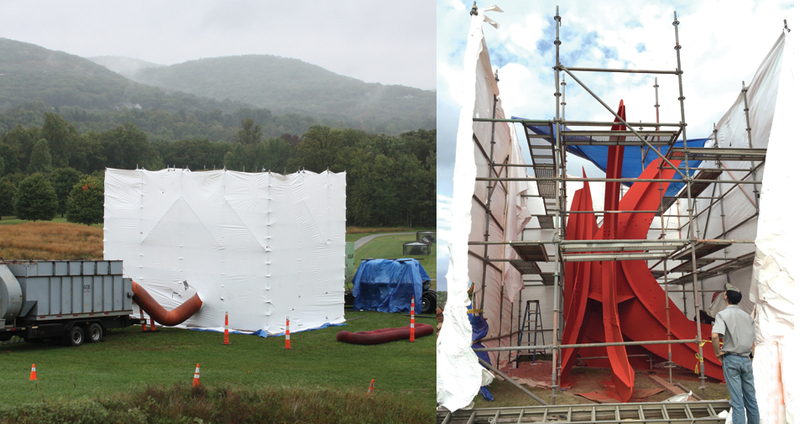 Care was taken during the conservation treatment to collect and contain all debris in compliance with federal and state specification owing to the presence of a lead containing primer that was applied in the 1970’s.